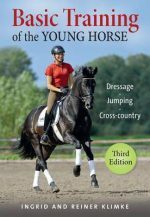 A completely revised and enlarged colour edition of one of the best-selling equestrian books of the last decade; In years gone by dealers and old stud grooms were the best judges of a horse’s conformation. Today, the only way to acquire an eye for a horse is to study as many different equines as possible, gradually building up a picture of what is desirable in a quality animal. The aim of this book is to assist in that study by providing a detailed guide to the horse’s anatomy followed by over 300 specially taken photographs with an informative and expert commentary by top show producer, Robert Oliver. The photographs, many in colour, examine al points of conformation and show both good and bad examples alike. They include not only the faults which detract from the animal’s appearance, but also those which can adversely affect movement, balance and performance. The book is divided into sections dealing with the various parts of the body (there are, for example, ten pages of comparative photographs of feet and sixteen pages devoted to the head) with a section on the teeth and ageing and a completely new section on colours and markings. To assist the inexperienced to assess the potential of a horse or pony in the rough, the book features a series of ‘before and after’ comparisons, depicting horses at their worst and in show condition. A wide selection of individual breeds and types are included and differing characteristics are discussed, as are popular disagreements as to what constitutes good or bad conformation, the influence of fashion in the show ring, and the specific requirements of the various competitive equine disciplines. A Photograph Guide to Conformation is an essential reference book for horse owners, competitors, exhibitors, judges, breeders and career students.